It has become apparent that the issues of importance, in terms of solving the root issues in our communities, are not just architecture and build, but relationship, family and well-being - a view shared by many property professionals. 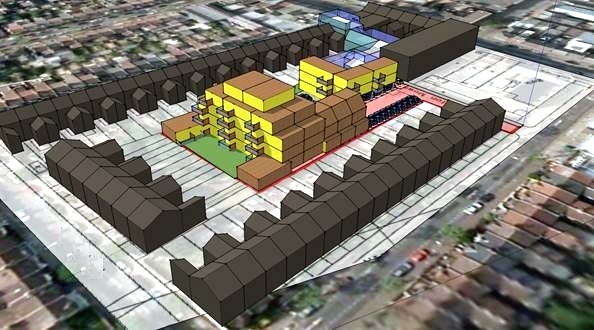 IBCP works with churches, charities, property professionals and housing associations to facilitate collaboration on built space design, social outreach facilities and sustainable community development as a catalyst for positive change. exploring opportunities for established churches and charities to sell or lease land to housing associations for building new affordable housing where the housing association will in return upgrade the church/charity’s own property to provide better facilities for the church to engage in supporting the housing association's tenants. linking housing associations with churches/charities that are located near difficult estates, where the church/charity involved has a skill set that matches the needs of the estate and is able to work alongside the housing association and serve the latter's aims. linking housing associations with charities that provide support for ex-offenders. If an ex-offender has a house and circle of suitable friends on his/her release, the risk of re-offending falls significantly. Ex-offender charities will not necessarily know how to connect with housing associations and, equally, housing associations may not know what is on offer by way of tailored ex-offender care. Networking in this way is a key skill that IBCP integrates into all our affordable housing build projects.